Asian Games 2018: PV Sindhu storms into the final after beating world no. 2 Akane Yamaguchi 21-17, 15-21, 21-10. 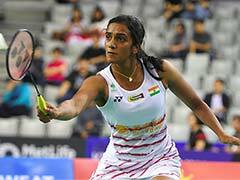 PV Sindhu outclassed second seed Akane Yamaguchi of Japan 21-17, 15-21, 21-10 to secure a place in the women's singles badminton final at the Asian Games. In the process, the 23-year-old became the first Indian to reach the final of an Individual event at the Games. Sindhu will take on world no. 1 Tai Tzu Ying in the final tomorrow. Earlier, Saina Nehwal lost 17-21, 14-21 to world number one Tai Tzu Ying and will take home a bronze medal at the 18th Asian Games in Indonesia. The ace Indian shutter was no comparison to Chinese Taipei's Tai Tzu Ying, who was at her best to beat Saina in straight games. 12:38 IST: PV Sindhu seals the match point and claims a 21-17, 15-21, 21-10 win in the semifinal against Akane Yamaguchi. Sindhu becomes the first Indian to reach the final of an Individual event at the Asian Games . Sindhu will take on world no. 1 Tai Tzu Ying in the final tomorrow. 12:32 IST: Sindhu might be leading but Yamaguchi will not go down without a fight. 12:30 IST: At mid break, Sindhu leads 11-7. 12:28 IST: Yamaguchi takes back to back points and brings down Sindhu's lead to 10-7. 12:26 IST: The rallies are getting longer now. 12:23 IST: Both the players are playing aggressive badminton but Sindhu takes a five-point lead in the third game. 12:20 IST: PV Sindhu takes an early lead in the deciding game. 12:18 IST: The decider third game gets underway. 12:17 IST: Akane Yamaguchi wins the second game against PV Sindhu 21-15. 12:16 IST: After a shoddy display in the first game, Yamaguchi is putting her best in the second game. The Japanese leads 19-15 now. 12:14 IST: After taking a four-point lead in the second game, Sindhu now trails by 4 points. 12:13 IST: Excellent fight-back by Yamaguchi. Takes a 3-point lead. 12:10 IST: After the break, Yamaguchi opens up at 2-point lead. 12: 07 IST: Yamaguchi equalises and suddenly takes a one-point lead at the mid-break. It 10-11 for Sindhu now. 12:06 IST: Now Yamaguchi reduces Sindhu's lead to one point. 12:02 IST: Akane Yamaguchi is giving away too many easy points to PV Sindhu by committing unforced errors. The Indian now leads 8-6. 11:56 IST: Just like the first game, the second one has begun on an even note. Both the players are trying to put pressure on each other to open up a big lead. 11:55 IST: A couple of unforced errors by Sindhu early in the second game. It's 2-2 as of now. 11:52 IST: Game point for Sindhu now. 11:50 IST: Aggressive display by Sindhu as she takes a four-point lead. 11:47 IST: Sindhu's 5-point lead is back as Yamaguchi commits too many errors. Quite a sloppy show by the Japanese player. 11:46 IST: Yamaguchi brings Sindhu's lead down to 3 points. 11:45 IST: A 5-point lead for Sindhu now. 11:43 IST: At mid break, Sindhu leads 11-8. 11:42 IST: Two-point lead for Sindhu now, she leads 10-8. 11:40 IST: A close first game is on right now. Both Sindhu and Yamaguchi are not letting even a point slip by. 11:35 IST: Good start by Sindhu in the first game as she fought back after conceding an early lead. 11:30 IST: PV Sindhu faces Akane Yamaguchi in the semis. 11:10 IST: Saina Nehwal loses 17-21, 14-21 to Tai Tzu Ying and takes home bronze. 11:08 IST: Tai Tzu Ying now gets a 6-point lead. 11:07 IST: At 15-14, Tai Tzu Ying gets into the lead yet again in the second game. 11:04 IST: Saina Nehwal for the first time in the match takes a 13-12 lead against Tai Tzu Ying. Can she turn the match around from here? 11:01 IST: At the mid-break of the second game, Saina Nehwal trails 10-11 against Tai Tzu Ying in women's singles final. Saina showed great determination to make a comeback in the second game but Tai Tzu Ying is proving to be too good for her. 10:57 IST: Saina Nehwal draws level at 6-6 in the second game with a powerful smash down the line. Saina is trying to make a comeback in the game but Tai Tzu Ying is not giving any such opportunities. 10:54 IST: Saina Nehwal trails Tai Tzu Ying 5-1 in the second game. The Chinese Taipei shuttler is running away with the game, she looks confident. 10:52 IST: Tai Tzu Ying takes the first point of the second game. 10:50 IST: Saina Nehwal loses the first game 17-21 to Tai Tzu Ying in women's singles semifinals in 19 minutes. 10:47 IST: Saina Nehwal has reduced the five-point gap to a single one. She trails 15-16 against Tai Tzu Ying. 10:44 IST: After the mid-break, Tai Tzu Ying opens up a massive five-point lead against Saina. The Indian trails 10-15 against Tai Tzu Ying. 10:42 IST: At mid-break of the first game, Saina Nehwal trails Tai Tzu Ying 10-11 in women's singles semifinals. 10:41 IST: Saina Nehwal draws level at 10-10 with a powerful cross-court smash. 10:39 IST: For the first time in the first game, Saina draws level at 8-8 against Tai Tzu Ying. The Indian is showing great tenacity. 10:37 IST: Three consecutive points for the Indian, she is looking determined. Saina Nehwal 4-5 Tai Tzu Ying. 10:35 IST: A wonderful smash down the line earns Saina Nehwal a crucial point, she still trails Tai Tzu Ying 2-5. 10:34 IST: Saina Nehwal gets her first point of the game. She trails 1-3 against Tai Tzu Ying. 10:32 IST: Saina Nehwal starts the proceedings and Tai Tzu Ying takes the first point. 10:30 IST: Minutes away from a mouth-watering contest between Saina Nehwal and Tai Tzu Ying. Stay tuned. 10:20 IST: In the head-to-head record, Saina Nehwal trails Tai Tzu Ying 5-11. 10:18 IST: Saina Nehwal is in great form. On her way to the semifinals, Saina Nehwal beat Soraya Aghaeihajiagha of Iran 21-7, 21-9 in a match that lasted just 27 minutes. Following that, in the pre-quarters, Saina Nehwal dispatched Fitriani Fitriani 21-6, 21-14. 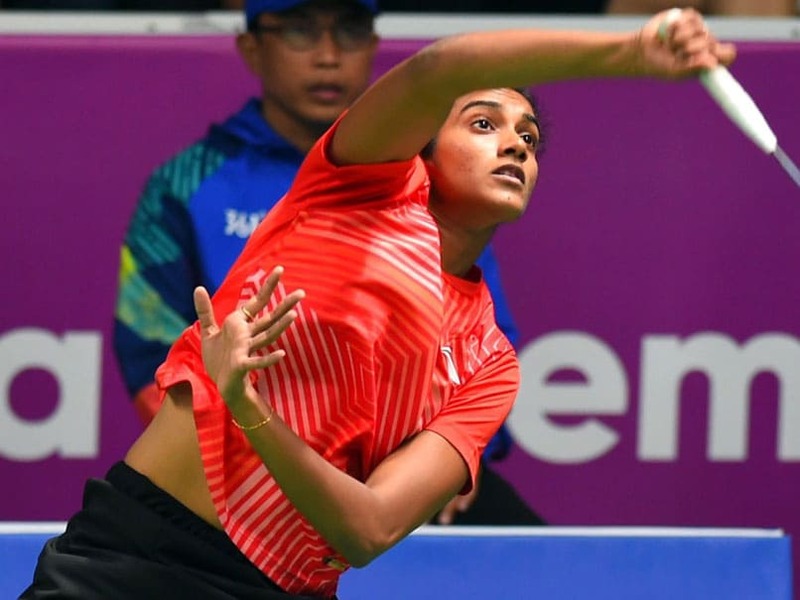 In the quarters, the Indian shuttler made a stunning comeback to win the first game 21-18 and then took the second game 21-16 to set up semifinal clash with Tai Tzu Ying. 10:15 IST: Trivia -- India will have the first singles medal in badminton since 1982. Syed Modi had won a bronze at the 1982 Asiad. 10:10 IST: Hello and welcome to the live blog of the women's semifinal match between Saina Nehwal and World No.1 Tai Tzu Ying. The last Indian to win an individual medal at the Asian Games was legendary Syed Modi, who won a men's singles bronze, way back in 1982 at New Delhi. 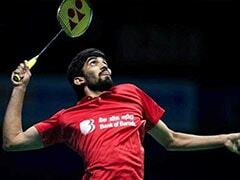 India has won eight badminton medals at the Asian Games and six of them are in team events and one in men's doubles. Saina and Sindhu had clashed at the finals of the Commonwealth Games at Gold Coast in April with the former emerging victories. While Sindhu ran away with the first game, Jindapol made it little tough for the Indian in the second game and thrice held the lead. Trailing 13-16, Sindhu found winners on either side of the court to make it even but Jindapol again created a four-point lead with very calculated smash shots and won the game easily to roar back into the contest. In the decider, Sindhu trailed 4-7 with Jindapol spraying winners but the Indian won seven points in a row to give herself a four-point cushion. There was no change in script after that as Sindhu ran away with the match. Earlier, Saina fell behind 3-8 at the beginning but found a way to beat the Thai player, whom she had beaten at the recent World Championship in Nanjing and also at the Indonesian Master at the same venue.